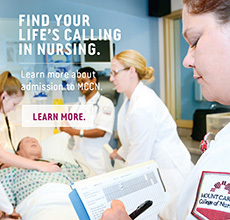 Mount Carmel College of Nursing is easy to find. 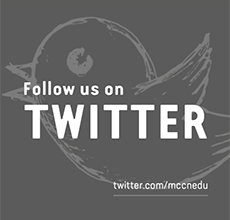 It's located on the campus of Mount Carmel West at the corner of Town Street and Davis Avenue, just west of downtown Columbus. Easily accessible from nearby interstate highways and state routes, it's also on a major bus line from downtown Columbus. Exit at the Rich/Town Street exit (exit 99C). Turn left on Town Street. The entrance to the College is on the right just after you pass Green Street. Park in one of three garages. (P1 is free, P2 and P3 are pay to park.) Please see our campus map for further details. Exit at Route 315 North (exit 99B). Travel north on Route 315 to the Rich/Town Street exit. Turn left on Town Street. The entrance to the College is on the right just after you pass Green Street. Turn right on Town Street. Take 315 north to Rich/Town Street exit. Take I-70 west to the Rich/Town Street exit.